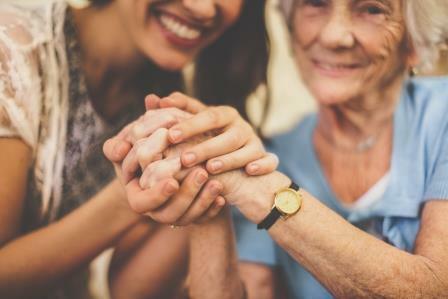 Hooties Take: Being the primary caregiver for a loved one is very personal and often goes unnoticed. It can be stressful and overwhelming. As we head into this Mother’s Day we wanted to share a story, one that many caregivers can relate to. Vivian shares her heartfelt Mother’s Day letter about her mom. Hi, just wanted to let you know how Mom is doing, and say Happy Mother’s Day. Many of you have told me this would not be easy, and boy you are so right. I look at Mom with such sadness and pity and wish I could do more for her to make her pain go away. Think of Mom when you say you can’t find anything to wear. It is sad for someone who had enough clothes to wear for the next 10 years and never wear the same thing twice. Now she is not able to dress herself. She was putting them on backward or inside out. I was wondering why she didn’t want to get out of her PJs but watched her one morning. She didn’t know what to do with the clothes she had in her hands. She wants to wear the same thing over and over again because it is less painful to pick out something else. Now I dress her and make her look pretty. The next time you dress yourself and find something to wear, just be glad you know what to do with it and where it goes. Think of Mom, the next time you take a nice warm bath and are enjoying it. Appreciate the fact that you’re not afraid of the water, that it feels so good to get nice and clean, and that you can get out of the tub on your own in privacy. (And that you can bathe alone.) The only time I enjoyed taking a shower with someone was when it was in a passionate moment and cleanliness was not the only thing on my mind. The next time you go into a room and forget why you went there, think of Mom. She does it all the time, now! The only problem is that when we retrace our steps, we usually remember why; she doesn’t.